What's up with that? On Little Donna, it is a blatant rewrite of Rock And Roll Music, but was not a huge national hit. I'd say Chuck Berry concentrated his efforts on Surfin' USA as there was much more money to recover. If Little Donna became a huge hit, it would have been worth the effort for Berry to sue. Just my opinion. Your postings today of the Rivieras reminded me that one of our local DJ's (can't really remember his name) many times would use the instrumental H.B. GOOSESTEP as his theme. Here's the Rivieras' version of Hanky Panky from their 1965 USA LP. IF the Shondells learned THEIR version from the Rivieras, I would be surprised. They sound light years apart to me. When I first wrote that piece back in 2006, it was purely speculation on my part that James may have heard the song performed at a club in Niles, Michigan, as The Rivieras were playing all over the midwest at the time. (And the fact that Tommy worked in a record store increased the odds of him being familiar with the tune as well as The Raindrops' B-Side.) 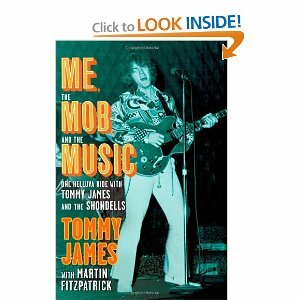 But in 2010 when Tommy James wrote his biography "Me, The Mob And The Music", he finally addressed some of my suspicions once and for all. I had the right idea ... I just had the wrong band! James (and his various pre-Shondells high school bands) used to see The Rivieras (then performing as The Playmates) perform all the time ... in fact, they were almost a "rival" band if you will. 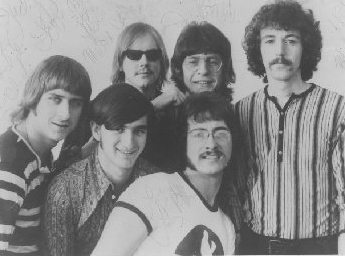 There was a group called the Princeton Five that was terribly popular in the South Bend area. These guys were rockers. They were our nemesis. There was a group called The Playmates (later The Rivieras) from La Port and The Tempests from Elkhart, and still another band from Mishawaka called The Spinners. There was even another Niles band called The Corvettes. These were only the most popular, but this was our competition and we were the new kids on the block. Motown and surf music were hot that year and we did them to death. We also played "Quarter To Three" by Gary "U.S." Bonds, 'Wah-Watusi" by the Orlons, practically everything by the Beach Boys, "Do You Love Me" by the Contours, instrumentals like "Wipe Out" by the Surfaris, "Pipeline" by the Chantays and "Easier Said Than Done" by the Essex. But by far the most requested song that summer was "Louie Louie" by the Kingsman, a song in which no matter how closely you listen to it, the lyrics are still unintelligible. Years later I found ot even the Kingsmen did not know what the hell they were singing! James then goes on to describe his feelings about the Kennedy assassination ... and witnessing The Beatles' first appearance on The Ed Sullivan Show, an event that transformed his life forever. The Beatles opened up a floodgate and the British Invasion was on. The Dave Clark Five, the Rolling Stones, Herman's Hermits, Gerry and the Pacemakers, the Animals, the Zombies, the Kinks ... and on and on and on. We loved the new sound. It was very different from the three-chord rockers we had been playing up to that point. This change in music was also reflected in the Tornadoes. We were so transfixed by all the new groups from Britain and so preoccupied with imitating the British rockers, that we weren't paying attention to what was going on in our own backyard. That spring a mysterious box of records came into the Spin-It (the record store where Tommy worked) with about twenty-five copies of a song called "California Sun" by a group I had never heard of, the Rivieras. Stranger still, it was on the Riviera label, which in all likelihood meant it was a local band pressing its own records. I put it on the turntable. It sounded like a second-rate impersonation of the Princeton Fives version of "California Sun", which they had been playing for years and was practically their theme song. I honestly did not know whether to cry or put my fist through the windshield. God, was I jealous. This could not be happening. We knew these guys. They were local schlocks, just like us. What was going on here? I had always felt that their manager, Bob Dobslaw, was a bona fide nerd who could not find his backside with both hands ... but he quickly went up a few notches in my estimation. I was in a state of shock. Over the next few weeks, I helplessly watched as the record climbed relentlessly up the charts. Top 30! No, No. Top 20! Stop, Stop! Top 10! Oh my God! And not just on WLS ... the whole damn country! Later that summer Tommy met a DJ named Jack Douglas, who was the morning man at WNIL, the local radio station in Niles. He had been kicking around the idea of starting his own record label ... and offered to record Tommy and his band. "Who knows," he told him, "With enough local airplay maybe we can break out of Chicago." All I kept thinking about was the Rivieras ... and I said "Let's do it." Unfortunately, when they got to the studio, Douglas wanted them to record what Tommy described as "Mother Goose" instead of rock and roll ... and so that first release, "Pretty Little Red Bird" / "Wishing Well", died a quick but (personally painful) death. In September, Tommy stopped by a local club called Shula's and caught his old pals The Spinners playing there. I had not seen The Spinners in a while and I wanted to check them out. One of the songs they played during their first set got an amazing reaction from the crowd. It was called "Hanky Panky." I had never heard it before. In between sets, Tommy asked Spinners Drummer Hank Randolph about the origins of the tune and Hank told him that they had heard another band do it a few weeks ago and the crowd went nuts ... so they decided that they should do it, too. They weren't able to find a copy of the actual record so they just started playing the bits and pieces they could remember and ad-libbing the rest. During the next set, over the PA system, I could hear people requesting this song over and over. The requests were coming mainly from the girls, which was always a good sign. The Spinners played "Hanky Panky" twice more that afternoon and each time the reaction was the same ... the crowd went wild. Everybody hit the dance floor and sang along. When I left Shula's later that afternoon, all I could thnk about was getting into Jack Douglas's studio and recording that song. After the Rivieras' rip-off of "California Sun" from the Princeton Five, I knew we didn't have much time and I was not going to take any chances. "Hanky Panky" was going to belong to the Shondells. Once he got back to the Spin-It Record Store, Tommy did some research of his own and found that the song had first been recorded by The Raindrops as the B-Side of their record "That Boy John". It had been released the previous fall but was quickly pulled off the market after the Kennedy assassination because HE was the "John" referred to in the title. The Shondells added "Hanky Panky" to their set list and got the same reaction The Spinners got ... EVERYBODY loved this song! They recorded it for Snap Records and the record went straight to #1 in the Niles / South Bend area ... and Top Ten in many other local radio outlets ... but they couldn't get a major market to bite and it, too, slowly faded away. I'm the first to admit that I didn't always hear "hit record" when a song was first played. In 1965, I was doing a beach party record hop at the Glen Lord Beach Park Pavilion in Niles, Michigan, when a very polite teenager asked me if I would listen to a record that he and his friends had recorded. I said that I would and put it on the turntable. My first reaction was that it was a bit primitive, but I decided to be gentle in my response. I told him that while it was a good first try, it wasn't something that WLS would have an interest in playing on the air. That song became such a big hit that people still dance to it today. The kid's name was Tommy James and the song was "Hanky Panky". For more on the Tommy James story, you've GOT to pick up a copy of "Me, The Mob and the Music", one of the best bios ever published. Please tell Ronnie Rice of the New Colony Six that I'm still crazy about "Things I'd Like To Say." I have a folder of 'Songs I Never Tire of Hearing' ... there are only 26 in there and this is one of them. It is what I call a perfect song ... nice lyrics, good tune, matches the singer and the beat makes you feel good ... still touches my heart. I've attached two more photos, one of the Ides, the second a photo of Chase my wife had. No identification on the back side of the Ides photo. On the back of the Chase photo, there is a partially torn label that reads: LE Mackie, Samanth Bldg., 243 Bree St, Johannesburg. P.O. Box 2943 Tel. 23-8029. I'm sure that somebody could identify the members in this picture. Good article about Tobin Matthews and the first WLS chart. 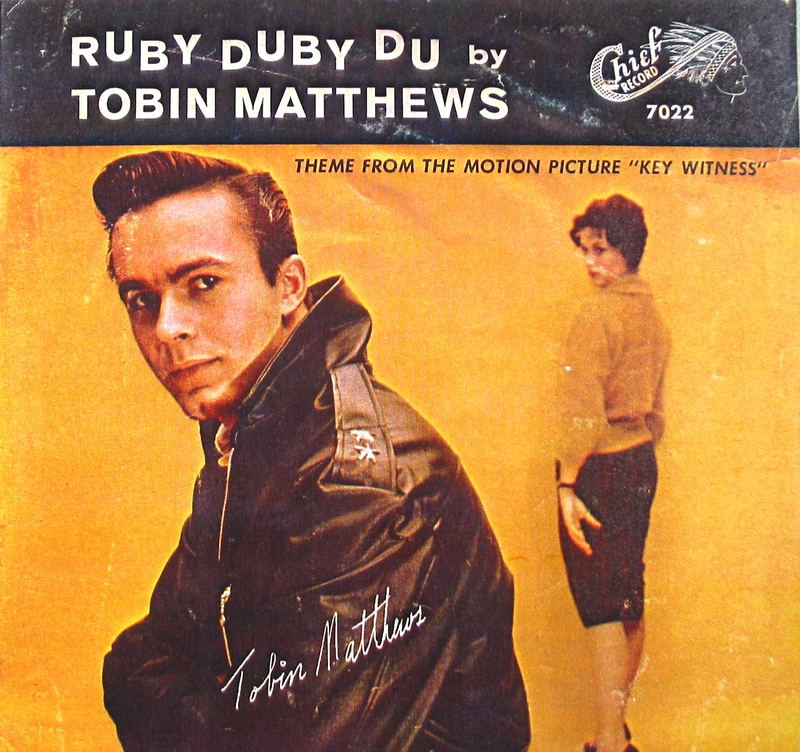 I'd like to send you a copy of what is perhaps one of the rarest rock and roll picture sleeves ever - from 1960's "Ruby Duby Du". I was once offered one thousand dollars for it. I have the only copy that I've ever seen! The Osborne guide does not even list the picture sleeve and he still shows his name as Tobin Mathews! Congratulations to our FH Buddy Tony Hatch on his nomination for the 2013 Songwriters Hall Of Fame, a well-deserved nod to his illustrious career. Anyway, best of luck from all of us here at Forgotten Hits on this well-deserved honor. The committee selects twelve nominees from two different categories: Performer / Songwriters and Non-Performing Songwriters. Other nominees include: Jeff Lynne (one of my favorites ... and not even MENTIONED in the attached article!!! ), Lindsey Buckingham, Christine McVie and Stevie Nicks (collectively as Fleetwood Mac), Jimmy Buffett, Elvis Costello, Ray Davies of The Kinks, Country Superstar Vince Gill, Mick Jones and Lou Gramm of Foreigner, B.B. King, Dave Stewart and Annie Lennox of The Eurythmics, Steven Tyler and Joe Perry of Aerosmith, Stevie Winwood and Bobby Womack for the performer / songwriter category and Bobby Braddock ("D-I-V-O-R-C-E" and "He Stopped Loving Her Today", two country classics), Don Covay ("Chain Of Fools", "Sookie Sookie" and "Mercy Mercy"), Randy Goodrum ("You Needed Me", "Oh Sherrie" and "Bluer Than Blue"), Tony Hatch ("Downtown", "I Know A Place", "Don't Sleep In The Subway", "Sugar And Spice" and countless others! ), Holly Knight ("Love Is A Battlefield", "Better Be Good To Me" and "Simply The Best"), Dennis Lambert and Brian Potter ("Ain't No Woman Like The One I Got", "Two Divided By Love" and "Don't Pull Your Love"), Bob McDill ("Amanda" and "Baby's Got Her Blue Jeans On"), Rick Nowels ("Heaven Is A Place On Earth" and "Fallin' For You"), Linda Perry ("Get The Party Started", the Christina Aguilera classic "Beautiful" and "What You Waiting For? "), FH favorites (and oft-profiled team) P.F. Sloan and Steve Barri ("You Baby", "Secret Agent Man" and "Eve Of Destruction", and many others), J.D. Souther ("Best Of My Love", "Heartache Tonight" and "You're Only Lonely" ... and now starring on the hit new ABC Television Series "Nashville"), and Rod Temperton ("Rock With You", "Always And Forever" and "Boogie Nights"). WOW! That's quite a list! 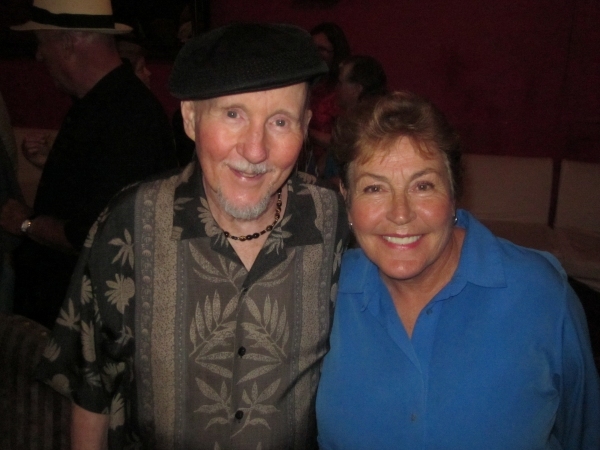 HERE'S A PICTURE OF ALAN O'DAY WITH HELEN REDDY AT ONE OF HER COMEBACK CONCERTS IN CALIFORNIA IN AUGUST. Don't know if you saw it or not but a few months back we ran a clip of Alan O'Day joining Helen Reddy on stage to sing "Angie Baby" when she apparently forgot some of the words. Click here: Forgotten Hits: A Monday Morning Quickie! Alan remembered because he WROTE the song!!! Here he tells Forgotten Hits exclusively the story behind this #1 Hit ... and shares his own version of the tune with our readers. I don't know if you have seen this or not ... There was a 'celebration' of 50th James Bond anniversary at the Academy of Motion Picture arts on October 5th. Having written a book, which took me years, I really don't know how you keep up the output of Forgotten Hits. You must have a wonderful organizational capability. As always, well done. Good photo of Jimmy Page in the latest edition. Congratulations to Forgotten Hits Readers Randy Price, Charles Rosenay and Claudia Stern ... they each won a pair of free tickets to see Micky Dolenz live at B.B. King's in New York City tonight, courtesy of Micky and The David Salidor Company! Don't forget to report back to us with a review of the show! And, you can catch Micky on The True Oldies Channel today doing an interview with our buddy Scott Shannon! The problem with the R&R HOF is because it has gotten so stupid! Does anybody really know what the exact criteria is, besides the politics & personal ideas of a select few? They put too many people in as well. Some years maybe only 1 or 2 should get in, especially now that you are getting in to more modern people. They are putting in too many performers that are not even Rock n Roll! Laura Nyro, Leonard Cohen, Miles Davis, as influences sure, but not as Rockers! Madonna!!! Yikes! Disco Artists! Yikes!! Rap! Yuck! It’s getting meaningless. At least the Baseball HOF inducts Baseball players!!! You can argue about Ron Santo or Jim Rice or Bert Blylevan, but at least they all are baseball players!! The R&R HOF is a becoming a hodge-podge because nobody knows what it means anymore. The problem with The Rock And Roll Hall Of Fame has ALWAYS been the lack of criteria ... they have NEVER defined specifically what these nominations are based on ... nor will they ... instead we're just supposed to accept their choices and leave it at that. Their own voting committee has been frustrated for years because they have no input into the selection process other than to vote amongst the list of choices dictated by the nominating committee, under the direction of Jann Wenner. 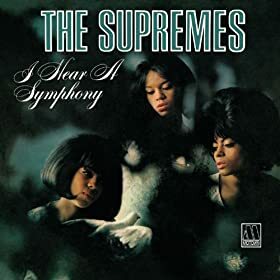 In it's line of expanded edition CD's, Hip-o Select continues with the Supremes line. Now out to buy is the expanded 2-disc collection, I Hear A Symphony. The album, released in 1966, reached #8 Pop, and #1 R&B. Berry Gordy's vision of crossover seems to be at its peak. The Supremes had the teens, now they had their parents. The album features many standards, as well as a few rockers. Included in the new release, is the entire original album in mono and stereo, as well as a few goodies. Disc 2 is an entire show the group did at Detroit's Roostertail Club. A must have collection for any fan of America's top group of the 1960's! 36 PAGE BOOK, TOUR POSTER POSTCARD SET, BONUS CD OF PREVIOUSLY UNRELEASED FIRST EVER STUDIO RECORDINGS, PREVIOUSLY UNRELEASED 7” VINYL BBC RADIO SESSION EP, RARE EARLY POSTER AND A 96 PAGE HARDBACK BOOK! Thanks for the plug, Kent! P.S. Working on "Retrophonic 4" for 2013. Blake Baker "B.B." Cunningham,Jr., lead singer and organist for the Hombres and co-writer of their #12 1967 hit "Let It Out (Let It All Hang Out)", died in an apparent shootout with a gang member early Sunday October 14). The 70 year-old B.B. was serving as a security guard for an apartment complex and went to investigate a gunshot nearby. Police found him and a teenaged boy dead when they arrived. B.B., whose brother Bill was a member of the Box Tops, played in the touring version of Ronny and the Daytonas (which later became the Hombres) and also in Jerry Lee Lewis' band from 1977 on. He had been a recording engineering Memphis and Los Angeles, working with such artists as Billy Joel, Elton John, and Lou Rawls. Bendix / Allied Signal and managing a furniture store. Tying into your recent articles, this points out again the power of WLS ... and their willingness not to "play it safe". The Rivieras charted here in Chicago six times on the WLS Silver Dollar Survey ... "California Sun" peaked at #3, followed by their two-sided hit "Let's Have A Party" / "Little Donna", which went to #4. Then came their version of "Rockin' Robin", a #8 hit, wrapping up 1964. In 1965 they charted twice ... first with "Let's Go To Hawaii" (#25) and then with "Somebody New" (#32). As somewhat of a "local" band, THE RIVIERAS tore up the Chicagoland charts in 1964 and 1965, placing SIX songs in Chicago's Top 40, despite never rising out of the 90's on Billboard's Pop Singles Chart after their Top Five Smash, CALIFORNIA SUN. Two more RIVIERAS singles snuck into the Chicagoland charts despite never denting the national trades ... LET'S GO TO HAWAII went to #25 in April of 1965 and SOMEBODY NEW peaked at #32 five months later in September. But in 1962, a South Bend, Indiana, Central High School Band (then called THE PLAYMATES), put together the cheesy organ hook (performed by former ACCORDION player OTTO NUSS!!! ), added the VERY heavy drums of PAUL DENNERT and, along with guitarists MARTY FORTSON and JOE PENNELL and crosstown Washington High bassist DOUG GEAN, turned the song into a surfing anthem that still sounds great everytime it comes on the radio. The band was discovered by local promoter BILL DOBSLAW, who booked them as the house band at the nearby LaPorte club TIPTON TERRACE, where they were soon packing in 600-700 kids on a Saturday night. Shortly thereafter, THE PLAYMATES were making appearances throughout the midwest, always returning home in time for their weekend gigs at THE TIPTON TERRACE. On a trip to Chicago in the Summer of 1963, DOBSLAW took the band into COLUMBIA RECORDING STUDIO, where they recorded what they felt would be their first hit single, PLAYED ON. The whole self-financed session took all of an hour, and there was even time left over to squeeze in a quick recording of their club favorite, CALIFORNIA SUN, to be used as the single's B-Side. for their 1965 album release CAMPUS PARTY, a year before the TOMMY JAMES AND THE SHONDELLS single was re-released!!!) And, bringing the whole thing full cycle, that re-release came at the hands of Morris Levy and his Roulette Records label! (You can read all about the connection between The Playmates / Tommy James and the notorious Morris Levy in Tommy's book "Me, The Mob And The Music". Before the record even had a chance to catch on, MARTY FORTSON and JOE PENNELL had already enlisted in The Marines!!! It wouldn't take them long to regret THAT decision! "I was in 'Nam getting shot at and I heard the record," FORTSON told WAYNE JANCIK, author of THE BILLBOARD BOOK OF ONE HIT WONDERS. "I thought, 'Oh man, you blew it!'" 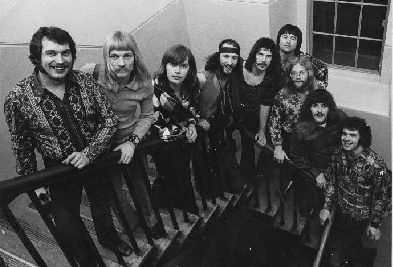 With FORTSON and PENNELL out of the band, manager BILL DOBSLAW took over the lead vocals. They then added guitarist JIM BOAL and waited for PLAYED ON to climb the charts. It didn't happen. Finally, legendary WLS deejay ART ROBERTS flipped the record over and started playing CALIFORNIA SUN repeatedly on his late night program. Within days, local Chicagoland record label USA RECORDS picked up the tune for distribution. Soon, CALIFORNIA SUN was climbing the national charts, too ... and it's gone on to become a '60's Summer Anthem. Quite honestly, despite this new-found success, DOBSLAW and GEAN stood by and watched as THE RIVIERAS became an on-going vicious circle of band members filing through the proverbial revolving door of pop music semi-stardom and, by the end of 1965, even they decided to shut things down. FORGOTTEN HITS / LOCAL HITS Series here today!!! LITTLE DONNA ... a blatant rip off of BERRY's ROCK AND ROLL MUSIC ... only shows leader BILL DOBSLAW's name under the title as songwriter?!?!? DIDJAKNOW-1? : Much like THE VENTURES' remake of WALK DON'T RUN '64, THE RIVIERAS released a revamped version of CALIFORNIA SUN '65 ... with no luck at all! promotions man HOWARD BEDNO, who had an industry reputation for his peculiar walk. They reissued the record with this new B-Side, holding on to PLAYED ON for a subsequent single release. Copies of the ORIGINAL 45 release (with PLAYED ON on one side) are now collectibles, worth about $40-$50 in Mint Condition. (By the way, despite their faith in the song, PLAYED ON never hit the charts!) Illustrating again the aforementioned revolving door of musicians that plagued the band, by the time H.B. GOOSE STEP was recorded, JIM BOAL had already replaced MARTY FORTSON and JOE PENNELL on guitar!